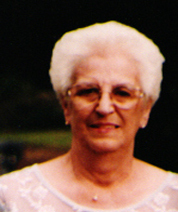 D’Arezzo, Eleanor L., 82, passed peacefully Tuesday, (1/5/2016) at the Coventry Health Center. Born in Cranston a daughter of the late Frederick and Blandine (Plante) Potter. She had lived in Warwick for the last 36 years. Mrs. D’Arezzo was a C.N.A. for 35 years, the last of which was at Pawtuxet Village Nursing Home. She was an active parent in the schooling of her children as a member of the Warwick PTA and Warwick Vets Booster Club. She leaves a son, Richard V. (Lydia) D’Arezzo, a daughter, Marylou E (David La Plume) Grausgruber, a brother Raymond Potter, and 7 grandchildren; Melissa and Peter Grausgruber, Jennifer LaPlume, Daniella D’Arezzo, Shannon DeSantis, Thomas MacGregor and Shawna Spensor. She was sister of the late Frederick, Earl, George and Charles Potter.